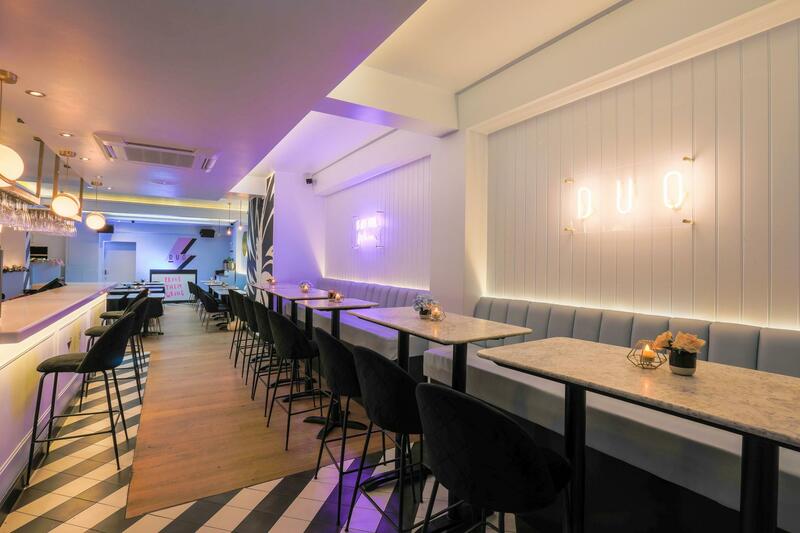 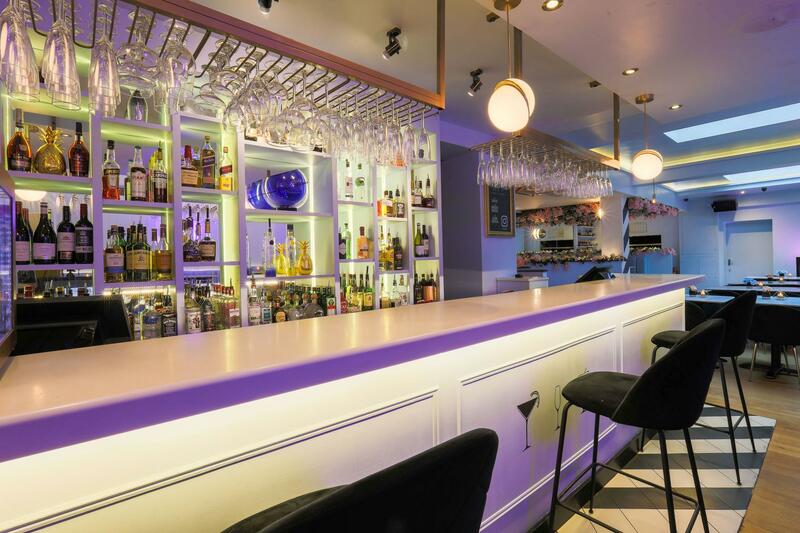 Duo is the latest addition to Camden’s bustling and vibrant scene. 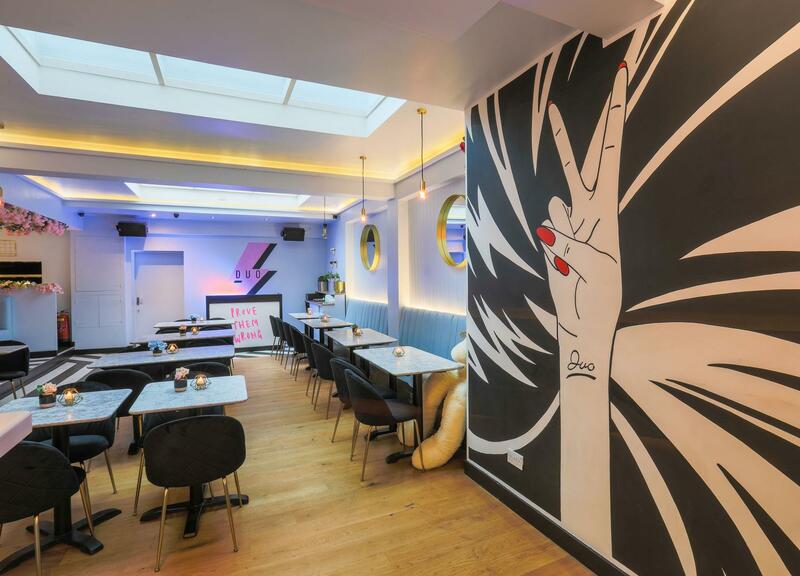 Spread over two floors, this boutique venue boasts a stunning upstairs bar & restaurant which is host to an exciting lineup of creative events such as extravagant party brunches & immersive dinners, venture downstairs to the basement nightclub where you can expect the very best nightlife, themed events & one-off specials. 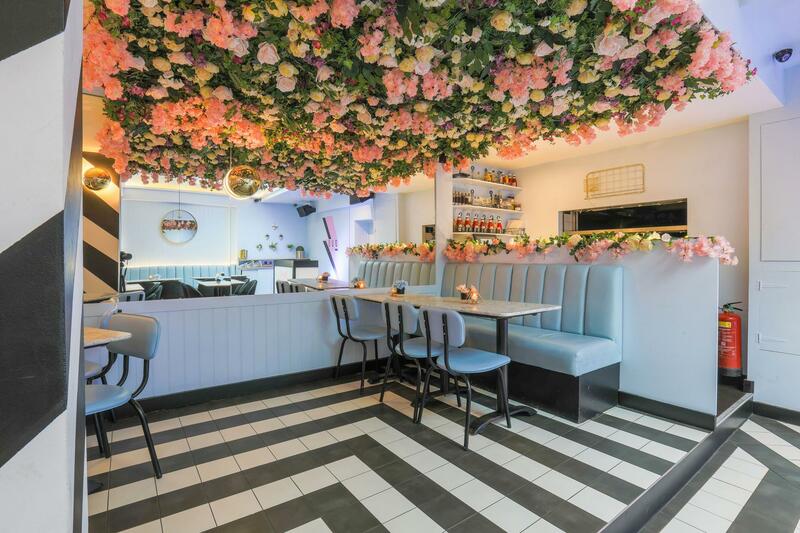 For the aesthetically driven, those who are always searching for those perfect Instagrammable moments, Duo is a must visit with a photo opportunity around every corner. 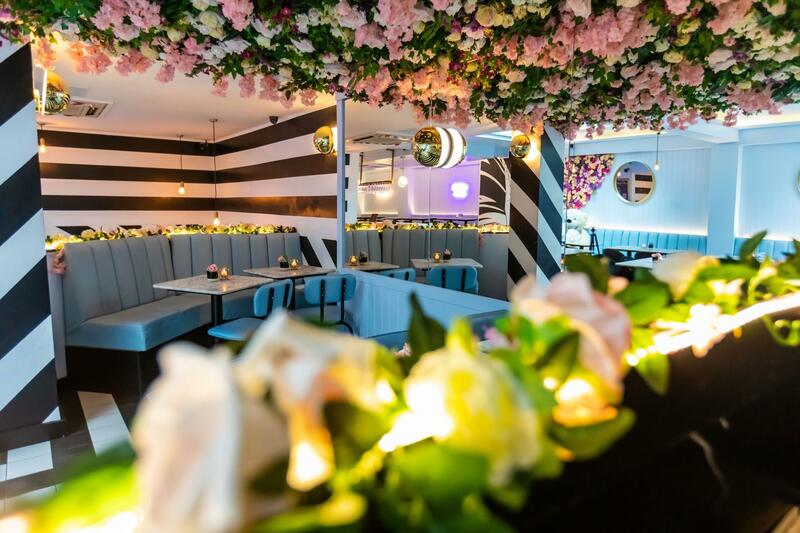 Our venue is made up of soft baby blues, dynamic bespoke murals, electrifying neon signs and bold stripes throughout – all of which have been paired together with every little detail of this venue being carefully constructed to provide guests with a multi-sensory experience.